The verdict of the International Tribunal of Conscience (Tribunal) is based on testimony and documentation regarding the cases of the 43 disappeared students from Ayotzinapa, the San Fernando massacre and mass graves of August 2010 and April 2011; the Acteal massacre of December 1997; as well as the systematic violation of migrants' rights in detention centers and along the migratory route. The tribunal's verdict also draws attention to attacks on journalists and freedom of expression, such as those faced by Anabel Hernández, who was a key expert witness for the tribunal regarding her investigation of the Ayotzinapa case. The verdict also highlights the relationship between human rights violations in Mexico and violations in the US in the context of racism, femicide and gender violence; the criminalization of youth; mass incarceration; detentions; deportations; and the abuse of force by police and military authorities on both sides of the border. All of this has been reinforced recently by the scapegoating of migrants and refugees in Europe and the US, and of Muslims and Arabs in particular, as inherent dangers to national security. The hearings in September coincided with the first anniversary of the Ayotzinapa case, Mexican president Enrique Peña Nieto's visit to New York to speak before the annual opening session of the UN General Assembly, and Pope Francis' visit to the US. Witnesses included spokespersons for immigrants' rights organizations, such as the Movimiento por Justicia del Barrio (Movement for Justice in El Barrio), the Asamblea Popular de Familias Migrantes (APOFAM, Popular Assembly of Migrant Families) and the Alianza de ExBraceros del Norte 1942-1964 (Northern Alliance of Ex Braceros). Father Alejandro Solalinde, founding director of the migrant shelter "Hermanos en el Camino" in Ixtepec, Oaxaca, testified on corruption and abuses by Mexican authorities. Witnesses also included representatives of human rights groups based in Chiapas and Oaxaca, and human rights defenders based in the US-Mexico border region in Las Cruces, El Paso and Ciudad Júarez. The UN's High Commissioner for Human Rights, Zeid Raad al Hussein of Jordan  has recently highlighted the "staggering" numbers of victims in Mexico (more than 150,000 dead and 26,000 disappeared since 2007), following an official visit there. Al Hussein underlined that, "While some of the violence can be laid at the door of the country's powerful and ruthless organized crime groups, many enforced disappearances, acts of torture and extrajudicial killings are alleged to have been carried out by federal, state and municipal authorities, including the police and some segments of the army, either acting in their own interests or in collusion with organized criminal groups." The UN official emphasized that the scale of Mexico's violence was especially notable, given that it is not a country normally classified with those characterized by armed conflicts (such as Colombia or Syria). The US has recently announced the suspension of $5 million in aid to Mexico through the Mérida Initiative, which includes $195 million currently appropriated, as part of over $2.5 billion in aid related to the drug war which has flowed since 2008. The Leahy Law restricts US aid to regimes and military units deemed responsible for generalized violations of internationally recognized human rights standards. UN monitoring bodies such as the Committee Against Torture and on Enforced Disappearances, and international human rights organizations such as Amnesty International and Human Rights Watch have expressed similar concerns. The Tribunal noted a large gap between Mexico's proactive stance at the UN as a supposed champion of the rights of migrants and Indigenous peoples - two of the sectors most gravely affected by the violations documented in the sources cited above - and the reality as presented in testimony to the jury. An increasing cascade of mass human rights crimes in Mexico has intensified concerns within Mexico and beyond. This includes the Aguas Blancas, Acteal and El Charco massacres in 1995, 1997 and 1998; the San Fernando massacre in 2010; and mass graves in 2011. This also includes several incidents since the Tlatlaya Massacre (22 dead, state of Mexico) in late June 2014; followed by the disappearance of the 43 students from the Ayotzinapa Rural Teachers' College (Guerrero) in September 2014; and in the first half of 2015, several atrocities between January and May with a total of over 100 victims in Apatzingán (January, 16 dead, Michoacán), Villa Purificación (May, 43 dead, Jalisco), and Tanhuato (also May, 43 dead, Michoacán). Two additional incidents along similar lines took place in July in Calera, Zacatecas (seven farmworkers - four men and three women, all youths - forcibly disappeared by military personnel and found dead several days later in a mass grave, four of them with bullets to the head), and in the town of San Miguel Ostula in the municipality of Aquila in Michoacán, where a 12-year-old child was killed and several others injured when military personnel opened fire on community residents who had blocked local roads in protest of the arrest the day before of a leader of their Indigenous community police force. All of these involve significant numbers of civilian victims and varying degrees of direct or indirect participation by federal, state and local police together with the military as key actors, in contexts related to the country's "drug war." Several of these cases were presented before the tribunal. These trends provide a road map leading from the 1997 Acteal massacre in Chiapas, to the San Fernando massacre of migrants in transit in August 2010 and mass graves of April 2011, and most recently to the September 2014 case of the 43 disappeared students of Ayotzinapa. In each of these cases, the direct responsibility of paramilitary and narco-paramilitary forces for such crimes has been combined with decisive dimensions of state complicity. The sheer number and seriousness of the human rights violations against migrants and other vulnerable sectors, such as the ones above, led the jury to find an overall pattern of state terror and state criminality. The US, through its massive military and diplomatic aid for the government of Mexico, is enabling the continuation of egregious and systematic human rights violations. We must demand an end to this complicity. 1. Jurors included (organizations listed solely for purposes of identfication): Cruz Reynoso (former Associate Justice, Calif. Supreme Court), Jorge Bustamante (former UN Special Rapporteur for Migrant Rights), Azadeh Shahshahani (immediate past president, National Lawyers' Guild), Jeanne Mirer (President, International Association of Democratic Lawyers- IADL), Gill Boehringer (former Dean, Macquarie Law School, Australia: representative, International Association of Peoples' Lawyers- IAPL), Arturo Viscarra (School of the Americas- SOA Watch), Wilma Reverón-Collazo (MINH/ACLU, Puerto Rico), Laura Carlsen (Americas Project, Center for International Policy, Mexico City), Julia Camagong (International Migrants' Alliance- IMA), Roberto Márquez (Professor Emeritus, Latin American and Caribbean Studies, Mt. Holyoke College), Katrina Abarcar (International Coalition for Human Rights in the Philippines-ICHRP), Sandra Trujillo (former Deputy Director, Childrens' Defense Fund-CDF), Katherine Culliton-González (Advancement Project), Terrence Vallens (National Alliance for Filipino Concerns- NAFCON), Aaron Ceravoy (Ibon Foundation, the Philippines), Johanna Fernández and Sophia Williams (Bring Mumia Home Campaign), Peter Clark (International Leonard Peltier Defense Committee), Kerry McLean (NY chapter NLG). 2. Such as Honduras, El Salvador, Guatemala, Ecuador, and Brazil. 3. The tribunal's verdict will be widely disseminated and eventually published. It will be translated and distributed meanwhile to international human rights organizations and defenders in the US, Mexico and elsewhere in the world, and presented publicly in both New York and Mexico City. 4. Al Hussein was Jordan's Ambassador to the US and Mexico from 2007 to 2010. 5. Other US aid and benefits related to Mexico's membership in the North American Free Trade Agreement (NAFTA). http://www.state.gov/r/pa/ei/bgn/35749.htm. 6. See discussion of analogies and differences between the cases of Colombia and Mexico in publications by Llorente and McDermott et. al (2014): https://www.wilsoncenter.org/sites/default/files/Colombia_Mexico_Final.pdf; Scherlen (2009): https://libres.uncg.edu/ir/asu/f/Scherlen_Renee_2009_the_colombianization.pdf; and reports by the International Crisis Group focusing on Colombia and Mexico such as: http://www.crisisgroup.org/en/regions/latin-america-caribbean/andes/colombia/011-war-and-drugs-in-colombia.aspx, and: http://www.crisisgroup.org/en/regions/latin-america-caribbean/mexico.aspx. 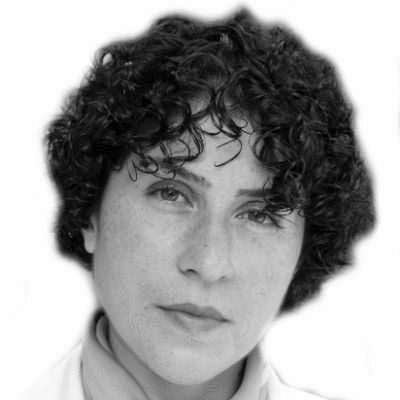 Azadeh N. Shahshahani is a human rights attorney based in Atlanta and former president of the National Lawyers Guild. Shahshahani was a member of the jury for the International Tribunal of Conscience, which met in September 2015. In August 2013, Shahshahani traveled to Mexico City to serve as part of the jury for the Permanent People's Tribunal's inquiry into the San Fernando Massacre and other human rights violations committed against migrants in Mexico en route to the United States. You can follow her on Twitter @ashahshahani.